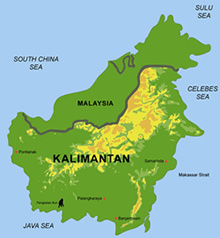 On 8th August 2007 Kalteng Consultants flow with a Bell helicopter equipped with the ALS-sensor and a 22MB-Hasselblad camera over the Galangan Artisanal and Small Scale Gold Mining (SSGM) area and over the villages Kasongan and Kereng Pangi in Kecamatan Katingan, Central Kalimantan. We gathered several single flight-tracks and 12 overlapping flight-tracks, which we processed to an ALS 4km x 8km grid as DSM- and DTM. Each tile has a size of 1km x 1km and is geo-referenced. They can be stored directly into a GIS. Additional we gathered approx. 210 RGB/Ortho-Photos (4080 x 5440 pixels) and many Aerial-Photos. So we are able to estimate the sand-volumes and number of holes, which were digged by the locals to collect alluvial gold with the toxic mercury (amalgam) technique. We simulate several water-levels for the area, for the holes and for the sand-pits. 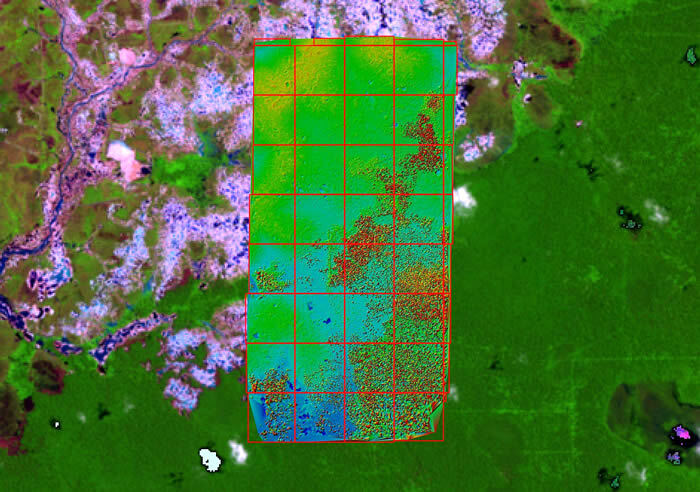 The bio-mass of the remaining forest can be determined. With this Hg-technique many locals are exposed to mercury vapours and global contamination of food e.g. fishes, which causes neurological damages to people and animals. Many mining pits and amalgamation ponds are remaining.